Are you dreading the thought of going through another brutal Michigan winter? Dreaming of a tropical paradise? Wanting to go to some exotic, far-flung locale? 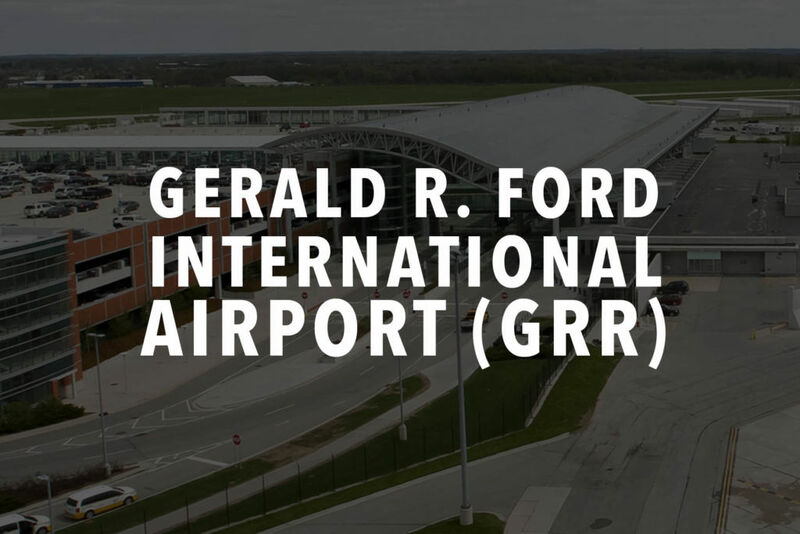 Look no further than taking one of 24 direct flights from Grand Rapids’ own, world-class Gerald R. Ford International Airport (GRR). Grab your water bottle and travel pillow as we take you inside the second-busiest airport in Michigan and show you how you can travel the world! What started as Kent County Airport in 1963, the airport was renamed Gerald R. Ford International Airport in 1999, and replaced the old airport on the Southwest Side of Grand Rapids, currently the area surrounding Roger B. Chaffee Boulevard. Covering almost five square-miles, GRR is located about 13 miles from downtown Grand Rapids in Cascade Township. The airport features three runways, with its longest runway measuring 10,000 feet. GRR gets busier and busier each year, averaging a five percent annual increase and currently serving over 2.5 million passengers per year. Looking for culture and history in the big city? How about a nice, tropical vacation spot surrounded by palm trees, turquoise water and soft, white sand? Whatever your reason to hop on a jet plane, GRR can get you there. GRR offers direct, nonstop flights to 24 destinations in the United States on six different airlines. Fly to Las Vegas to soak up the sun, see a show and play the slots on Allegiant. Fly to Denver on Frontier to explore the Rocky Mountains or go skiing. Fly to New York on United or Delta to experience its big-city atmosphere. In addition to these destinations, you can fly to Atlanta, Baltimore, Charlotte, Chicago, Dallas, Detroit, Fort Lauderdale, Fort Myers, Houston, Minneapolis, Orlando, Philadelphia, Punta Gorda, St. Petersburg, Tampa and Washington, D.C. Looking for another destination or to travel internationally? You can connect to any of the world’s great cities and airports within one stop from GRR. Are you an aviation buff? Looking to spend some time watching planes depart and arrive? There is a viewing park situated on Kraft Avenue SE, between 44th Street SE and 52nd Street SE where you can watch over 300 flights depart or arrive from dawn to dusk. The viewing park has over 100 parking spaces and features picnic tables, restrooms and drinking fountains. Next time you feel like getting away, choose Gerald R. Ford International Airport. Have any favorite flights or airlines? Share with us in the comments section!